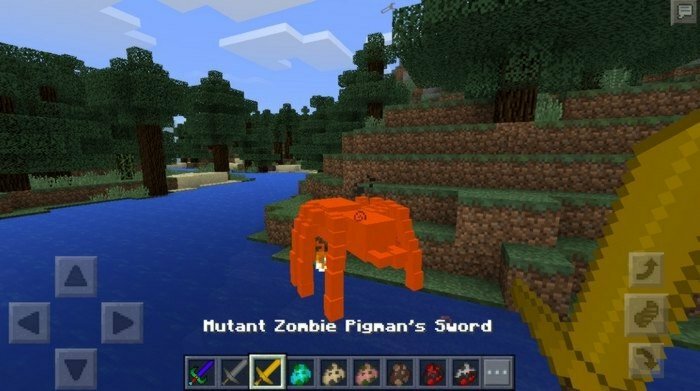 Mutant Creatures is more powerful and scary versions of the normal mobs in Minecraft PE. You can meet them anytime while you are walking around, but their spawn rate is pretty low. Using new thing called Chemical X, you can transform normal mob into its mutant version. Even diamond sword can't guarantee you winning, but 3 new swords can increase your chances - one of them have knockback effect and another will set your enemies on fire. 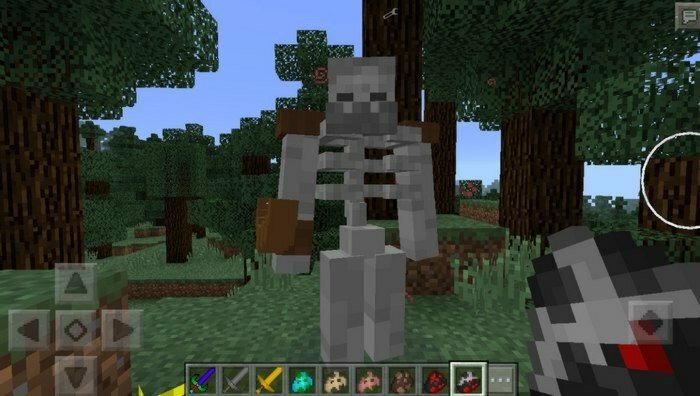 Some mobs, such as mutant villager - will be attacked by other aggressive mobs, but snowman or iron golem will fight back. 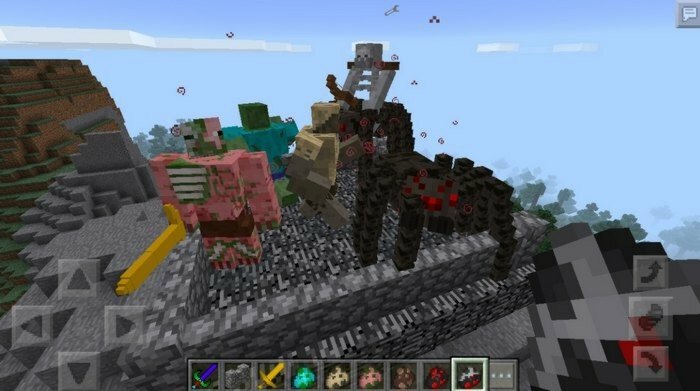 The design of this mobs looks really cool, they are looking very strong and i wish we could see some of them in new versions of MCPE.